Mt. 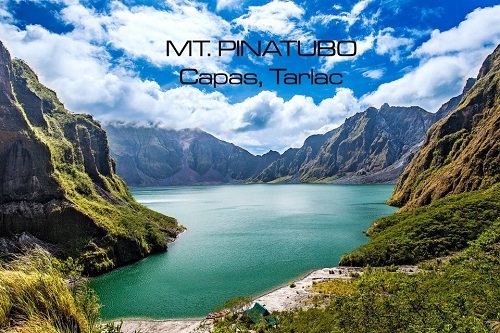 Pinatubo is regarded as one of the most popular destinations in the country. Located between Pampanga, Zambales and Tarlac, Mt. Pinatubo boasts of a landscape covered in lahar and boulders, with valleys that serve as home to Aeta Tribesmen. The gem of Mt. Pinatubo, however, is its crater lake, which lies at the end of a 2.5-hour trek. The color of the water changes from blue green to deep blue depending on the season. Long after its historic 1991 eruption, Mt. Pinatubo has become a place worth traveling to, most especially for people yearning for adventure. Get ready to discover one of the Philippine’s most beautiful destinations with us! After 600 years of being in deep slumber, Mt. Pinatubo erupted in 1991, discharging tons of sulfur dioxide or lahar in the air. It was one of the most devastating eruptions that happened in the Philippine history, leaving billions worth of crops and thousands of properties covered in lahar.